The benevolent overlords of MTA are now promising no fare hikes for 2007, honestly. For real. Not for subways, not for LIRR, not for Metro-North or bridge-and-tunnel tolls — not even for lightning-fast, camera-equipped Space Age ultrabuses. The news comes as a backtracking, after Peter Kalikow & Co. had already put a $240 million hike on the books, not to mention scared the bejesus out of everyone by floating a bizarre service-cut proposal. Now Kalikow says enough money has appeared to make that hike unnecessary, which raises the question: Where did the money come from all of the sudden, and who’s the secret Santa? It comes from, says Kalikow, the city’s booming economy — and particularly its real-estate market. “The agency gets revenues from real estate transactions,” the News says, adding later that “it will get some assistance from the megasale of Peter Cooper Village and Stuyvesant Town.” All of which is well and good, if it keeps our subway fares down. But also: Huh? Is there a MTA tax on real-estate transfers? Is Tishman Speyer throwing a few MetroCards at Stuy Town residents to keep them happy? We don’t quite get this bit and would appreciate anyone who could explain. On the other hand, it’s not like it so much matters. 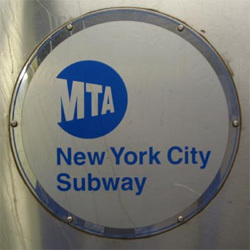 The MTA is predicting “huge deficits” for 2008.